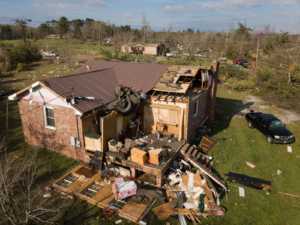 Amid the utter havoc and devastation wreaked by this weekend’s massive tornados, devoted teams of volunteers have been pouring into Alabama, spending countless hours offering material relief and spiritual comfort to those in dire need. Samaritan’s Purse, an international humanitarian relief organization, is one of the groups that is on the frontline, responding to the destruction through prayer and action. Tragically, three children have been confirmed among the 23 who lost their lives, while countless others still remain unaccounted for. Edward Graham, Billy Graham’s grandson, is working on the ground in Lee County with Samaritan’s Purse, where the grief and heartache is palpable. The town of Begeuard, the storm’s epicenter, was “so bad that we couldn’t even get our teams in there,” Graham explained. “Unless you had a badge or you were a first responder, you weren’t allowed in there because they were still doing search and rescue,” he said. 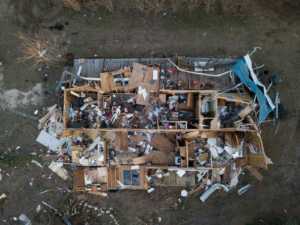 Graham said the storm whipped up several tornados, making it almost impossible to predict the direction of the impending vortex. 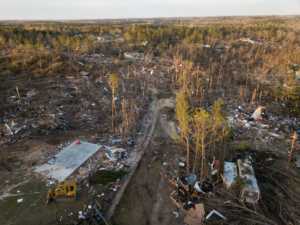 Graham added that there were “a lot of lower-income families” affected by the tornadoes, noting that a number of trailer parks were affected by the twisters. “You can imagine a storm like this, the damage that it does in a trailer park — complete destruction,” he said. 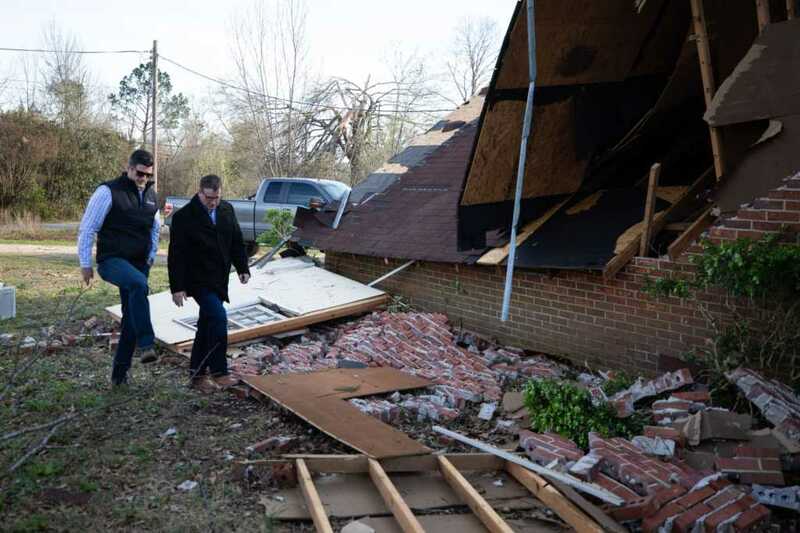 Speaking from Opelika, just north of the hardest-hit areas, Graham explained that he had met with one woman, who burst into floods of tears when she realized that the team was there to help her disabled veteran neighbor, who was caught up in the tornado and his house destroyed. “She actually recognized my big nose and chin that I have, being a Graham,” Edward laughed. While there was some speculation that residents were not given ample warning of the impending weather front, Graham said that the locals are quite used to the brutal weather systems. “I’m praying for these families, and for these first responders and the work they’ve been doing. They’ve been getting after it for the last 48 hours without rest — I know they are burdened,” he said. 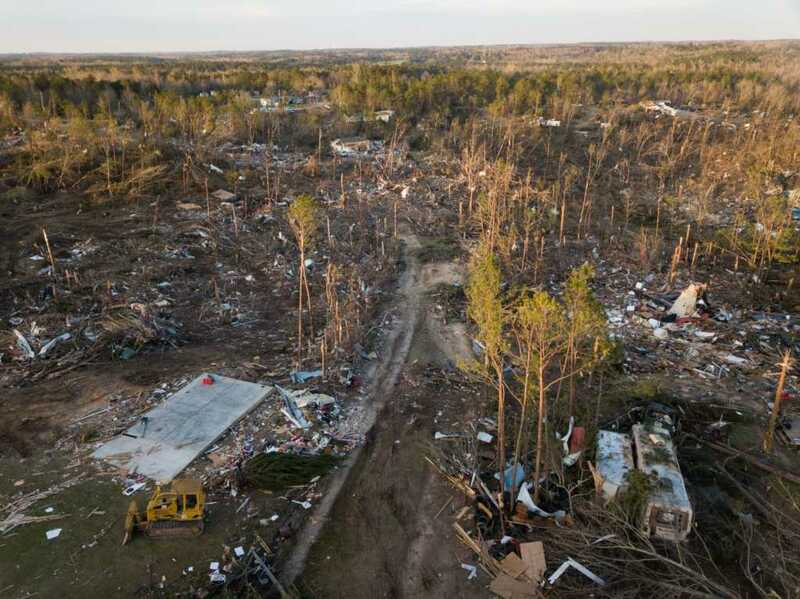 While the people of Alabama require urgent material support, we must also remember to pray for all those affected, and all those involved in the relief effort. However, the biggest need Graham could identify was for additional volunteers. 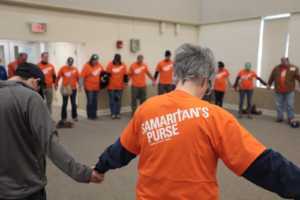 You can sign up to become a volunteer with Samaritan’s Purse by clicking here. Alternatively, if you would like to give to the ongoing relief effort, you can do so by clicking here.